I purchased this because of all the hype this product has. Was excited to try this especially. Been looking around for a new HG eyeliner since my GOSH art liner is discontinued. I hoped that this would work on my oily eyelids. First impression was that it wasn’t as black as I had expected. 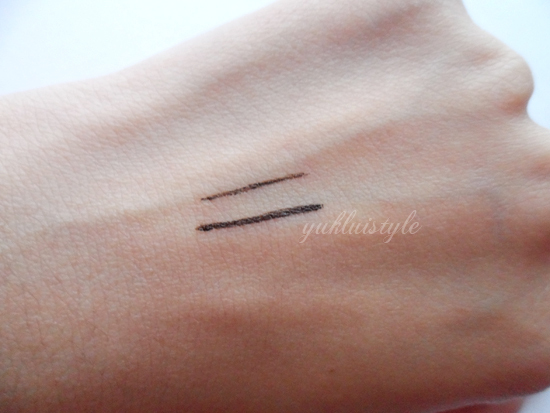 I had looked online for other swatches and they seem to be very black. I wonder if it’s something to do with the one I bought. However, I still do use this if I still want to define my eyes without including eyeshadow in my make up routine. It is still a good pigmented eyeliner. Lasting wise, this did last ages. I wouldn’t say 24 hours but enough to last a whole day. However, I did find that it did smudge on the bottom lashes at the end of the day. Made me look slightly like a panda. Disappointing. Also happened on the outer corner of my eye. Guess the oiliness has taken over for a bit. However, it does tick the waterproof box. My eyes do get dry and water and the eyeliner doesn’t transfer onto the tissue. Doesn’t rub off when I rub my eyes, minding you, I rub gently. Tried it on my hand, with harsh rubbing, it does smudge and flake off a bit but there probably wont be an occasion as to rubbing very harshly on the eyes. 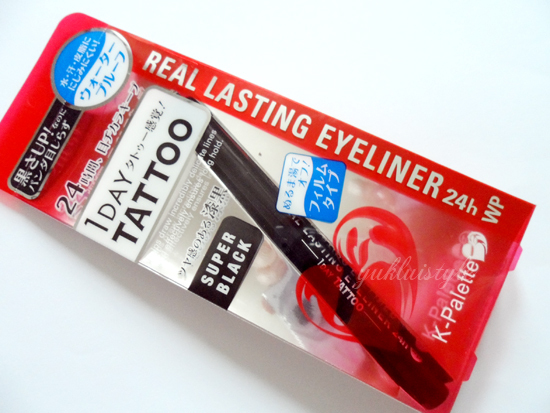 This is a pen style eyeliner. It’s easy to use and you can create fine to thick lines. I’d have to apply over the first line to create a more pigmented line and this pen allows me to control it easily and to be precise. It does dry fast so no need to worry about smudging. This is great for novices. With eye make up remover, it removes easily. I have also read somewhere that it can be removed with warm water, not tried it. For the price, it may be pricey to some but worth it to others. I’d say it’s average. There are other thicknesses and colours within this range. For me, I’d say it is an average product. A tad disappointed that it had smudged and disappeared on my lower lashes and on the corner of my eye but I’d still use it on my upper eyelashes. It doesn't look black enough, at least not black enough for me. I like those really black black eyeliners. 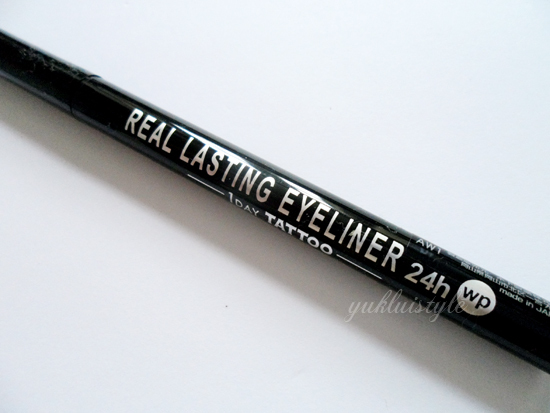 I was actually considering buying this until you said it smudged with oil `-` My eyelids, for some reason, are really really oily and it's gross LOL There will be the perfect eyeliner one day! Thanks for sharing!